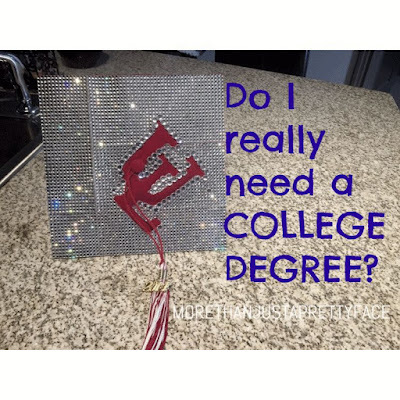 "Do I really need a college degree?" Recently I randomly read this article titled "A woman selling her college degree". I really thought it was a joke. Like there's no way someone is selling their degree. So it sparked a thought, "Is a college degree really necessary?" My answer to that question is simple, Yes. I understand that student loans sort of sets grads back by placing us in debt for the next 20-30yrs. But the payoff, experience, and rewards are well worth it. I'm a firm believer that we should never stop learning. Continuing education allows us to expand our mind and knowledge which is always a good thing. Lately I've been starting off most of my blog posts with "life happened and I've just been busy" lol! Well it is true but I've kind of been neglecting my blog. To say the least I'd say that my life is pretty much a mess right now. There's no sugar coating on that. Of course I am still thankful for all the Lord has blessed me with. I'm just in a point in my life where I have important decisions to make and it's not that easy. But definitely bare with me lol!